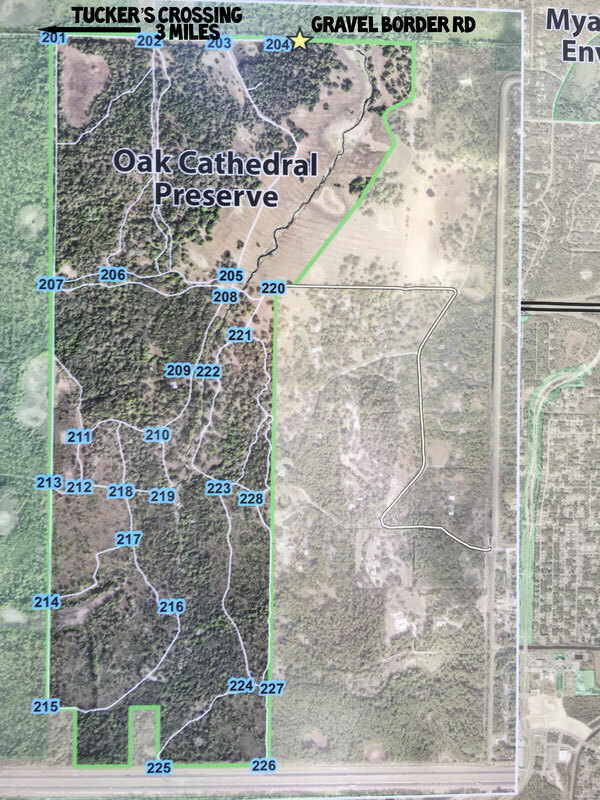 Oak Cathedral Preserve is accessible from the Carlton Reserve via Tucker's Crossing Bridge and gravel Border Road. The preserve has 10 miles of double track trails to explore as well as it's namesake landmark, the Oak Cathedral located just south of TM203 (Trail Marker). 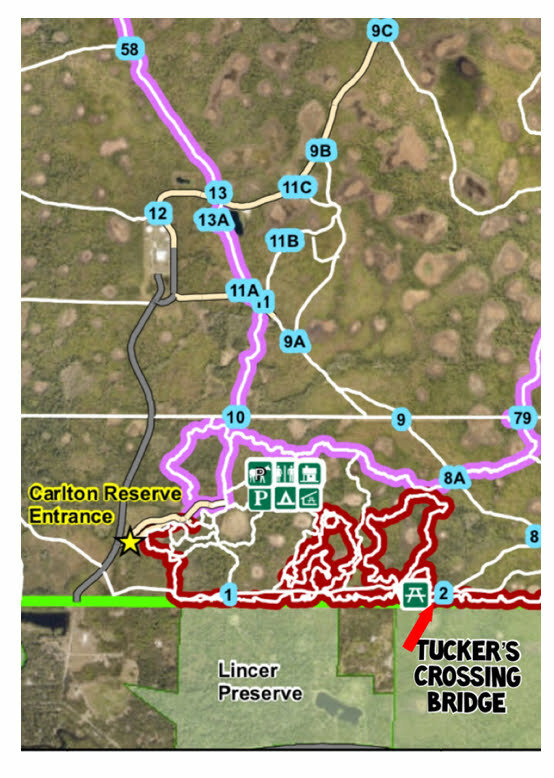 From the Carlton parking area, get to Tucker's Crossing Bridge and gravel Border Road via Boldlygo or via South Border Trail to the "first picnic table". 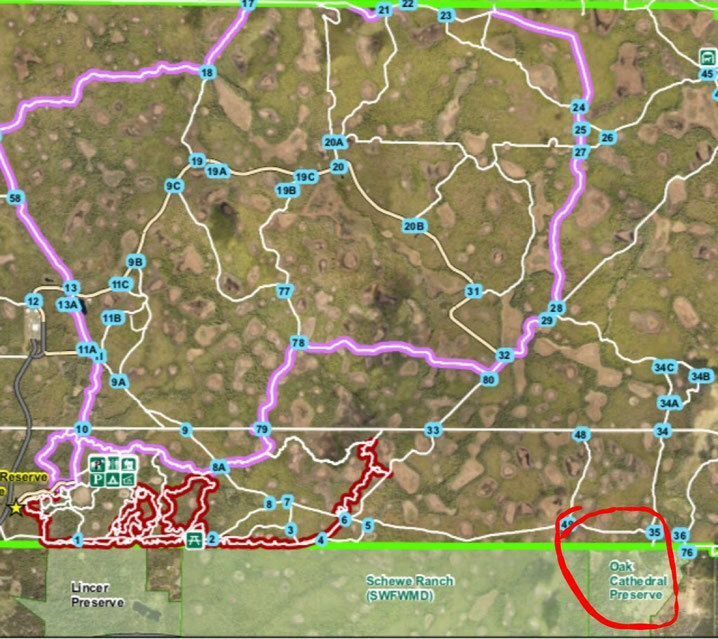 Oak Cathedral Preserve is at the east end of gravel Border Road. It is also accessible via South Powerline and the Doe Hammock Trail at TM34 (Trail Marker) and TM35. Note that TM204 in Oak Cathedral is adjacent to TM35 in the Carlton. There is a walkthru gate at this location.